Designed for everyone who wants to serve delicious meals to friends and family, and host parties with confidence and pleasure. Like its predecessor, You’re Grown–Now You Can Cook, author Sallie Swor brings you a book that is perfect for anyone from the novice chef to the confident cook who would like to serve beautiful, delicious food to company and your family. Menu planning and party ideas, plus entertaining and informative text make You’re Grown–Now You Can Throw A Party a delight to read. This collection of over 120 recipes is a perfect gift for a graduate, new home or apartment owner, newlyweds and, of course, everyone who enjoys good food, great recipes, and entertaining friends and family. These are the recipes and menus that will make anyone feel confidence and pride in hosting a celebration big or small. Included is advice on party planning, menu suggestions, easy decorating tips, serving suggestions, and tips for quick cleanup. Recipes feature step-by-step directions that are clear and concise, sequential lists of ingredients, and include helpful menu plans. This collection of delicious recipes and a witty guide to hosting will guarantee that your friends will beg to be included in every party you throw. Your cooking and entertaining skills will be celebrated and your parties will feature menus that will delight both you and your guests. More importantly, it will always be a joy to entertain. That’s why we do it. When you’re having fun then you are throwing a great party! "Nothing's more fun than partying with Sallie! A fearless and creative cook, Sallie is a passionate teacher with a nurturing nature, the result of many years of counseling young people. But mostly, it is her clever, artistic touches, and her ability to elevate the everyday into something special that makes her one of the most gifted party givers I know. Here is a great book full of fun recipes and party ideas for the young and the young at heart!" 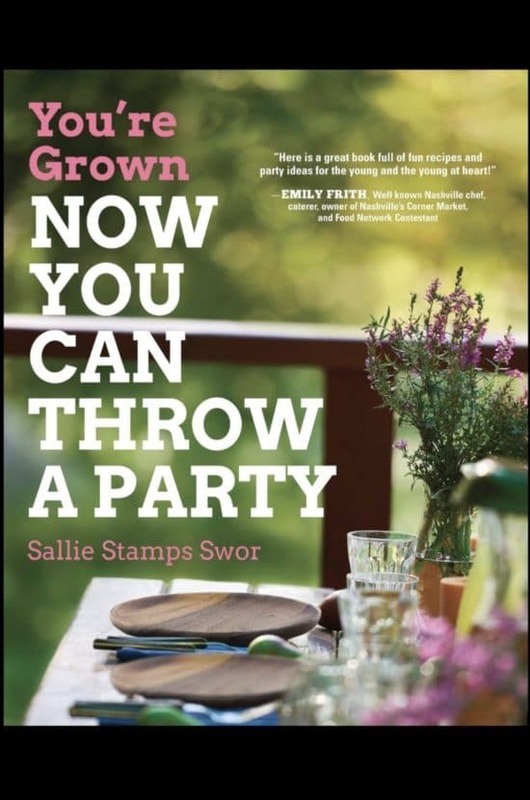 Sallie Stamps Swor is the author of the popular cookbook, You’re Grown – Now You Can Cook. The original project began as a request from her son who was moving into an apartment and wanted a book of his favorite recipes. When his friends tasted these delicious dishes they all wanted copies of You’re Grown – Now You Can Cook. Sallie’s friends wanted copies as well, and so this cookbook was born. The author is fortunate to have had a career working with high school students and young adults as a high school counselor and college consultant. In creating this collection of recipes, she is able to use her experience with students, clients, her son, and his friends as a way to write in a voice that makes sense to a novice cook while relating to anyone like Sallie who loves food and entertaining. This has led to a regular spot cooking on the local CBS affiliate morning show, teaching classes at the popular Monteagle Assembly retreat, demonstrations and classes at local markets and CSAs, lecturing at book clubs, supper clubs, study groups, and garden clubs. Sallie uses her talents to provide food for fundraisers and volunteer events, and donates books and cooking classes to charitable organizations. 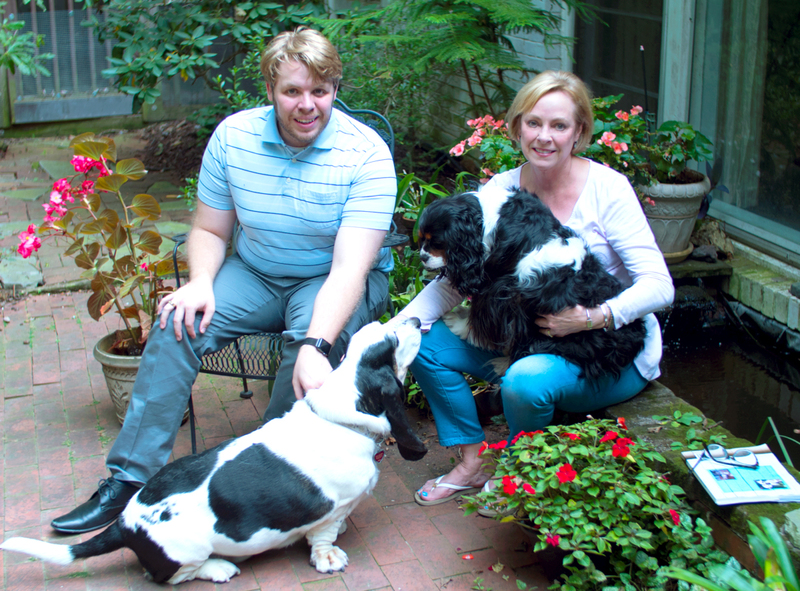 For Sallie, cooking has been a passion, obsession and creative outlet since she was a young girl. Currently she runs a blog for anyone who loves to cook and enjoys hearing from her readers.